Pure Synthetic Hydraulic Oil is a full synthetic, non-detergent, ashless, non-zinc, anti-wear oil formulated for hydraulic, steam and hydraulically driven turbine systems, circulating oil, air line, pneumatic, pump, vacuum pumps, lightly loaded gearbox, bearing and general oiling applications that are subjected to wide variations in ambient and system operating temperatures. 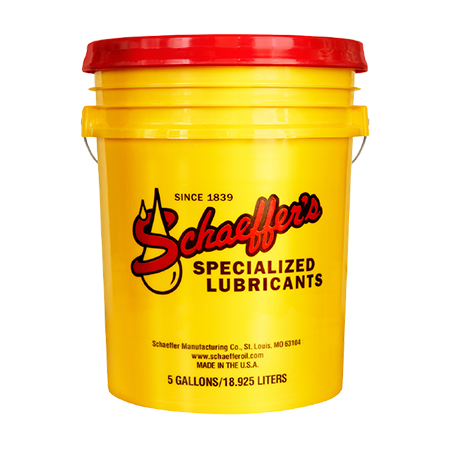 Pure Synthetic Hydraulic Oil is made with the highest quality polyalphaolefin (PAO) synthetic base fluids, our proven friction modifier, Micron Moly®, and a highly specialized additive package. This unique formula delivers improved compressor efficiency, which results in less energy consumption, downtime, reduced labor and material cost. Enhanced fluid and seal life. Excellent cold temperature staring and pumpability. Greater hydrolytic stability and demulsibility characteristics.